What I had hoped to be a conversation filled with laughter and juicy tidbits about her hunky next door neighbor turned into a therapy session of sorts. I got a phone call from a friend I haven’t seen in a long time, and instead of her usual jolly self, she was up in arms, and almost ready to punch someone in the nose out of sheer fury. I patiently listened as she ranted on about how her officemate makes snide remarks about her behind her back. Things like these are inevitable, I guess. It’s how we take it. Of course, we are but human to be affected, but we should try our best not to let these things ruin our day. There are people who will always be envious of us, and of our achievements, whether big or small. Sometimes it works to just laugh things off. But of course, we should discern whether the negative things other people say about us are starting to ruin our reputation. When that happens, it is time to take action. This entry was posted in Reflection and tagged friend, negative, negative remarks, officemate on August 29, 2016 by Yami. Adults would have one wish: to live a life, debt free. Having debt is already a common thing nowadays. This is because people’s standards of living have increased over the past years. People are expected to have their own homes. People are expected to have the latest gadgets, the latest items that can make them a part of society. Get Rid of Your Credit Card – Your credit card is not exactly evil but it may prompt you to purchase things that you do not actually need because it is easy to make use this plastic to buy things. Do Not Live Beyond Your Means – If you are only earning minimum wage, do not act as if you have the same salary as the CEO of the company that you are working for. You can still be happy without conforming with the rest of the people that you are with and if they truly like you, they will accept you for who you are. Always Save – A part of your salary should automatically go to your savings while you can already splurge the rest. 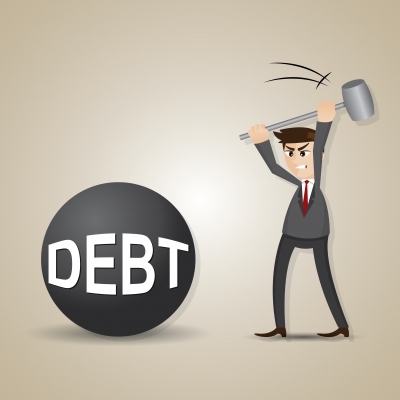 These simple tips above will allow you to live a life debt free. Try these things out and you will not regret it. This entry was posted in Money matters and tagged how to live debt free on August 10, 2016 by Yami.